Before I started my first business, I read many books and articles on starting up. I submerged myself in information and tried to foresee every hurdle my first business might face. In my head, great preparation would prevent me from failing. But having been through the startup process, I now realise that whilst some preparation is useful, it doesn’t automatically deliver success. So my advice is, don’t go overboard with it. I think the biggest waste of time for a small startup is a business plan. You may find that view confusing, because many websites, which offer high-quality unbiased advice to entrepreneurs suggest that you should start with a business plan. Free business plan templates are widely available. In this post, I will tell you why business plans are not fit for purpose in a small startup in 2016. I will also offer you a much better alternative to help your startup get on its feet. It’s called an action plan. It is simple, workable and focusses your mind on what steps you need to take next. Here is a short history of business plans. Business plans were first used about 200 years ago during the Industrial Revolution. Their main role was to create a financial forecast to build new factories that produced new products and employed many people. Business plans in these days made sense. Businesses could estimate their markets, which were small and local. They understood the competition and could predict that their customers would love their new product because they lived in a world that was offering few new things. Businesses then needed a business plan to approach bank managers for a loan. The plan represented a well thought-out collection of facts to communicate the needs of the startup. Business plans were popular until about 2000. Since then its popularity has been in decline. So what has changed that turned this once valuable tool into a wasteful paper exercise? The main change has been the widespread use of the internet. In the old days, for a startup to succeed, it needed the right product, in the right place, at the right time. It also needed to be well-funded to pay for supplies, staff, premises and advertising. 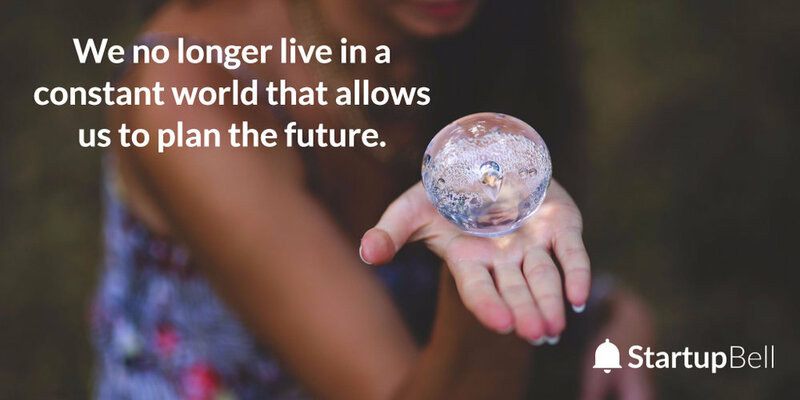 But we no longer live in a constant world that allows us to plan the future. We live in a rapidly changing world in which people connect through the internet. Many businesses today don’t rely on funding. They are started in the founder’s homes and have minimal expenses. If you study which startups have become wildly successful, you will see that their strengths are their customer-focussed vision, great social skills and an ability to adapt to changing needs. 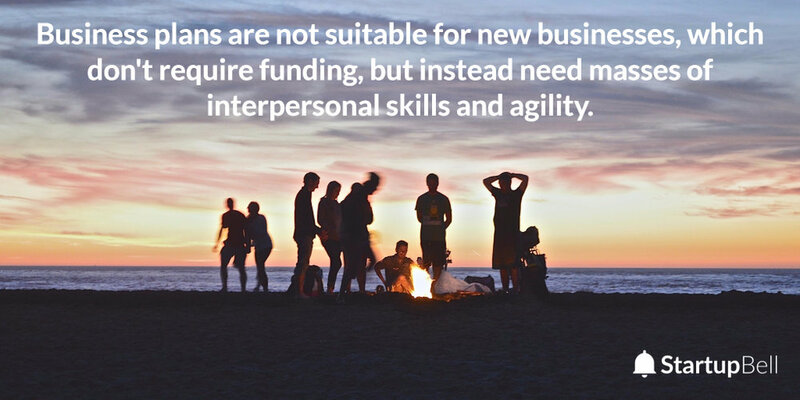 Business plans are not suitable for these new businesses, which no longer require funding, but instead need masses of interpersonal skills and agility. So what they need is a plan that captures goals and communication strategies in the online world. That would be seriously weird. So how do we get from being an unknown stranger to becoming the beloved brand? You need an action plan that gets you from here to there. Unlike a business plan, your action plan is a roadmap of steps you must take to build that relationship and reach your goal of selling. Before you throw yourself into your business, think about what you are planning to offer. What makes you different from what is already out there? What is the purpose of your business? Who are your customers? What are they looking for that they can’t already buy? What are the improvements you offer that make your customers' lives better? If you are unsure at first, it’s ok to go with a hunch. Just make sure you make your customer the centre of your startup universe. Try to uncover what it is your customer really needs. In 2016 there is no other way. You need an online presence. This action plan is about reaching your goal using the internet. Although I will show you at the end that this online presence is simply a mirror image of your offline “real-life” business. So what is your web presence? Your web presence includes everything from your social media profiles and email address to your web address. It is everything that identifies you as you when you are online. If you have read my earlier article on choosing a company name, you may have already chosen your domain and social media names. Use them to create social media accounts, listen to your potential customers and leave thoughtful comments when you feel comfortable to do so. This is a good time to start thinking about building your website. If you are still unsure about your idea, and you haven’t yet created a clear brand identity, don’t worry. You can delay creating a website and instead concentrate on finding and connecting with your target audience. When you are ready and you think you understand your customer’s pain points and how to solve them, set up your website. The most important feature of your website is the blog. Without a blog your website is only an online brochure. People can see what you do, but have no way of interacting with you. Your blog is an opportunity to show the world who you are. Every blog post is a conversation starter and an opportunity to connect and interact with your wanted customer. In the real world the more you interact with other people, the more they will know, like and trust you. When people hear you talk, they will engage in a conversation with you if you share a common interest. Blog posts are the same in the online world. If you tell people something useful, they will read it. You should invite them to leave a comment and try to start a two-way conversation. The key to running a self-sustaining business is a strong connection between you and your audience. You ultimately want your audience to know you so well, they will choose to do business with you in preference to anybody else. Your blog is a great tool to show who you are. But people will not realise your blog exists unless you let them know. In the early days of your blog, only few people will find your blog through search. It takes time for Google to understand what your website is about. Writing consistently about one topic will help your search ranking and discoverability. A way to get around your obscurity and to amplify your blog is through social media. Your first challenge will be to decide where your customers spend time online. There are now so many social media platforms and discussion forums to choose from, it can be overwhelming. Try to restrict yourself to a few places where your ideal customer is present, or you risk spreading yourself too thin. Next, try to engage with people and show them who you are and why they should interact with you. Social media is an excellent place to show off your knowledge and send people back to your blog. But only do this if your blog post is truly relevant to the question that was asked. Otherwise, you might appear untrustworthy and self-serving. To build a deeper more meaningful relationship, you need to stay in contact with a person over a longer time. An ideal tool for this is email. Collect emails as soon as your website receives traffic. Ask people for their email address and reply with a welcome email. This is a good opportunity to ask what the customer would most like to see in a product or service. Or you could try to find out what your customer’s biggest concern or challenge is. Once you create a dialogue, you can either offer direct advice or refer to blog posts. Or you could write a new blog post about the most common problem you discover and offering solutions to them. This will keep your audience engaged with relevant content. These new blog posts will also help capture new visitors to your website by providing information that your target audience searches for. Eventually, you should reach the point where customers either ask for your product or services or are receptive to offers you put in front of them. If you make no sales, you need to ask yourself: Am I targeting the right market? Do I really understand my customer’s pain point? Am I clearly communicating how I can solve the problem? Do I need to remove any objections? You can test out any of these theories by creating further blog posts and continuing to engage with online audiences. It may take some time to get things right. But you have a good chance of success if you take little steps and accept small failures and successes to move in the right direction. Last but not least don’t aim for the sale, aim for the referral. Your sale is the finish line. But like a 100m runner you need to run through the finish line, don’t slow down just before it. Aim for the referral and every single customer could soon be sending two new ones. A loved business that customers recommend to their friends is the holy grail of business. Social media is a tool available to every customer and their opinions now matter more than ever. Customers that are passionate about a company can drive successful marketing better than the most seasoned marketer. And as an added benefit, it’s free. I hope this article showed you how the action plan is different from the business plan. A business plan is a snapshot of the capabilities and requirements of a startup. An action plan is a map to guide a startup from being an unknown entity to meaningful company. The most important challenge of growing a business today is to connect with customers and find new ways of making them happy. This article is only an outline of what an action plan should contain, you can add lots of details to it. Right now, I am developing a course which will include a guide on how to construct a detailed action plan. So come back soon and check if the course is running, or let me know if you would like me to send you an email to let you know when the course goes live.